For Enrichment Day at the National Zoo, keepers strategically placed toy balls and bits of fish meat (I assume) around the river otter enclosure, and then let their charges loose to go nuts. 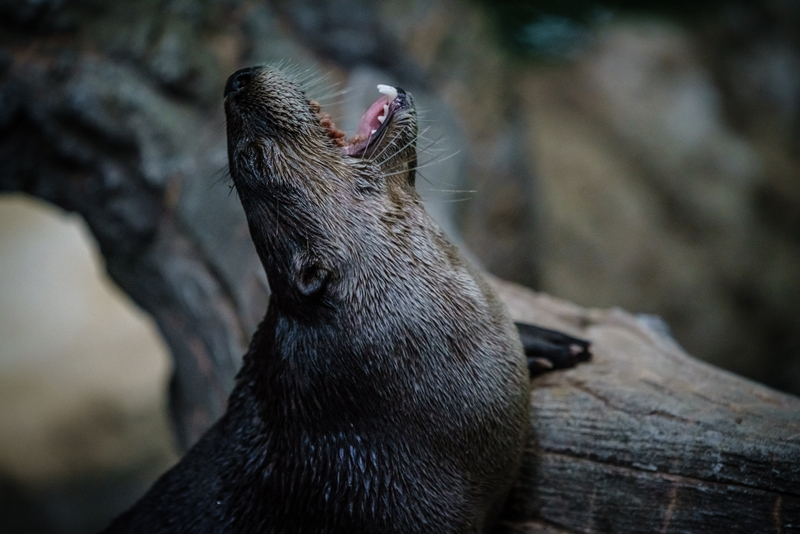 The otters frantically swam and scurried around the exhibit in search of the treats, sometimes squawking at each other. The otters were fast and unpredictable, making them difficult for this primarily landscape photographer to capture. Mountains ideally don't move to and fro like that. I was glad the snacks placed by the keepers allowed me to judge better where the otters were going to be!